Heat the oven to 400°F. Unfold the pastry sheet on a lightly floured surface. Cut the pastry sheet into 25 (2-inch) squares. Place the sugar and cinnamon into a paper bag and shake to combine. Bake for 15 minutes or until the pastries are golden brown. Add the hot pastries in batches to the bag and shake until coated with the sugar mixture. 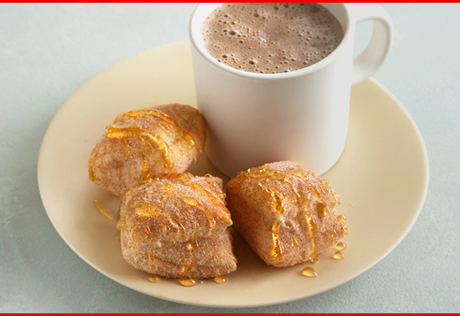 Drizzle the pastries with the honey before serving.